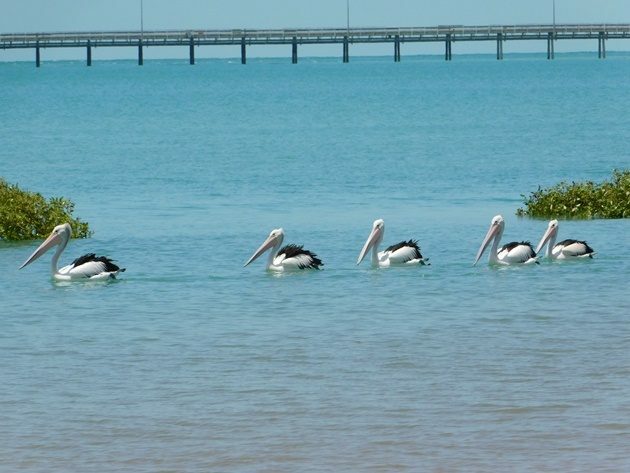 Australian Pelicans–Pelecanus conspicillatus are easily observed at the Broome Poo Ponds as they roost on the banks of the ponds. The Australian Pelicans really can’t be mistaken for any other bird species and most people are familiar with Pelicans throughout the world. 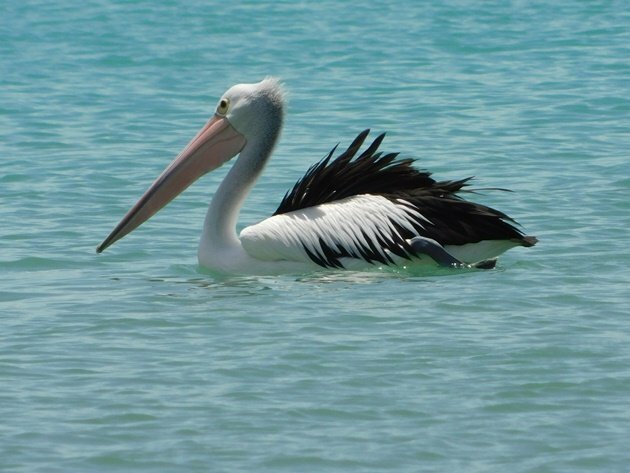 Not only are Australian Pelicans a large bird, but they also have a large bill and they use this to dip into water to feed on fish. 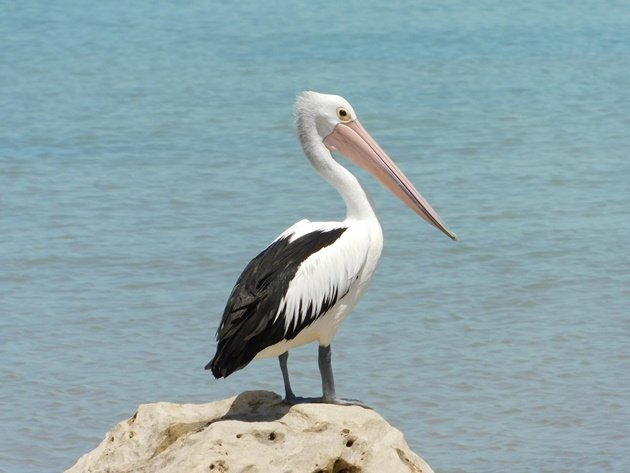 Most Australians are familiar with Australian Pelicans due to a novel “Storm Boy” written in 1964 by Colin Thiele. The story is about the relationship of a young boy, his father, an Australian Pelican and an outcast aboriginal man. A movie was made of “Storm Boy” in 1976 bringing the story to even more people and a new version of the movie has just been released. Now another generation are becoming more aware of the beautiful Australian Pelican. Another noteworthy news item in Australian currently is the flooding of Lake Eyre – Kati Thanda at the lowest point in Australia. Lake Eyre floods due to rain on other parts of Australia and the flood can be tracked slowly as it moves across the continent. Lake Eyre is expected to be in flood once again this year and once again the bird-life is expected to return to breed. There are tour operators taking bookings for the chance to see Lake Eyre in flood and the spectacular wild-life that is expected once the floods fill the area. Once the area is flooded it is the largest lake in Australia, but this does not happen every year and there are often years and years without it becoming a lake. On years that the lake system does flood there have been huge numbers of Australian Pelicans and Banded Stilt arrive and breed. Other birds that arrive after the flood are Red-necked Avocet, Red-necked Stints, Sharp-tailed Sandpipers, Silver Gulls and Caspian Terns. 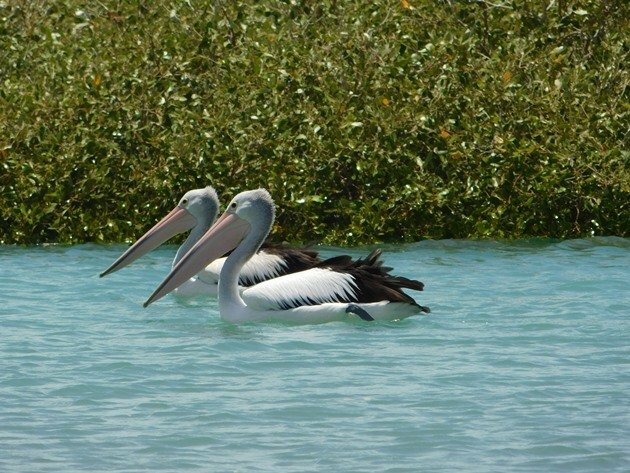 Meanwhile in Broome we can easily observe the Australian Pelican feeding in Roebuck Bay and near the Port of Broome. They can often be observed feeding together in small groups and sometimes in much larger groups near the Crab Creek area as the tide turns. 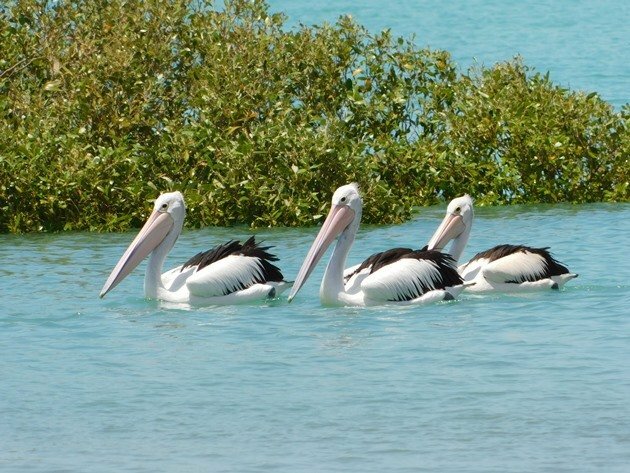 When the tide drops back the Australian Pelicans don’t all return to the Broome Poo Ponds to roost. Some of the Australian Pelicans roost on exposed rocks and wait for the sea to return. Wherever and whenever you visit Australia there is a high probability that you will encounter our beautiful Australian Pelicans. 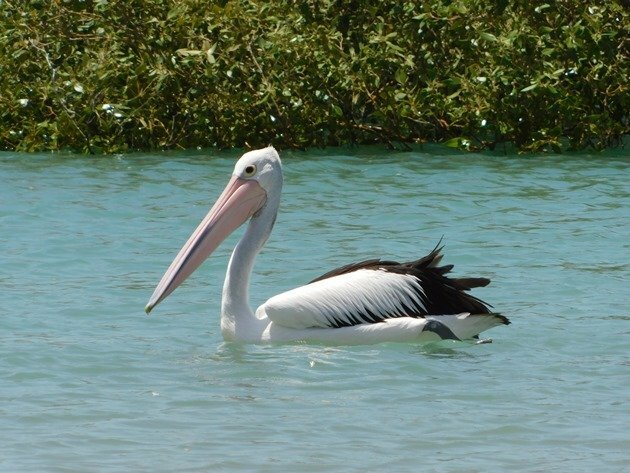 There are already over 100,360 eBird records of the Australian Pelican! Such a magnificent bird! Great post! I hope to be able to see the movie.